Patsy Thomson, owner and Director of Beacon School since 1971, holds a B.A. in English and History from the University of Texas at Austin ('69) and an M.Ed. in Guidance and Counseling from the University of Houston ('76). In addition, she holds Teaching Certificates in English, History, Special Education -E.D., and Special Education Early Childhood. 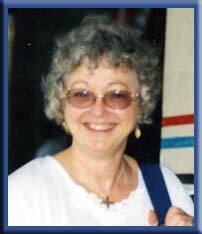 She has been teaching since 1969 with experience in grades Pre-School through 12th. She is the adoptive mother of 7. H. Rogers Thomson, father of 4, holds a B.S. from Middle Tennessee State University ('71), and a Master of Divinity from the Houston Graduate School of Theology ('95). He is an educator, certified chaplain, ordained minister, licensed therapist, noted author, and certified Substance Abuse professional.